GROKSÌ! is the cheese snack oven baked and not fried. The production process for GROKSÌ! is unique and patented. 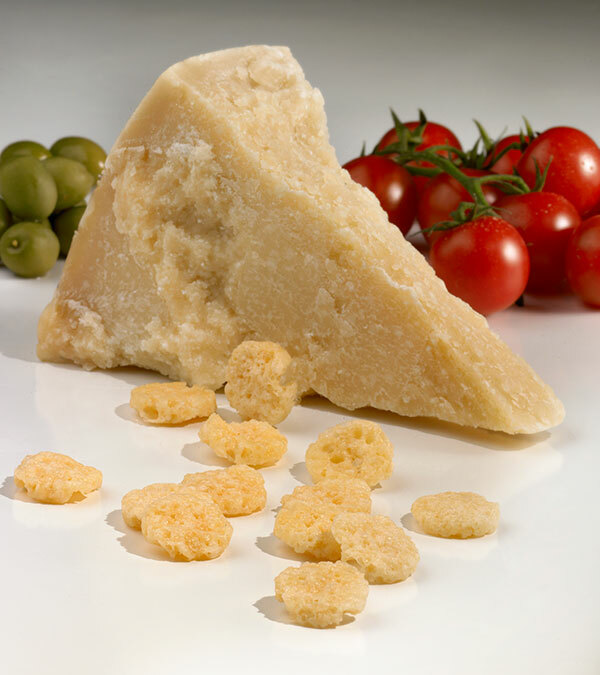 The product is obtained by extracting, through a light depression, the humidity present in the cheese, which is reduced from 33%-40% in the raw material to 3%-4% in the finished product. The moisture extraction process causes the creation of the small air pockets and consequently modifies the product’s structure, with a final crunchy and non-oily texture of the product. Thanks to its limited percentage of moisture and to the salt that is naturally present in the cheese, GROKSÌ! offers the benefit of a long preservation outside the refrigerator, also ensured by it being packed in protective atmosphere. The result is a special and unique product that is delicious and healthy, gluten free and lactose free.